One of the more unusual requests for cabinetry design came from client friends Tim and Janet Simonec who were remodeling their living room to include a big screen television. An interior wall was constructed about 30″ inside of the original exterior wall so that the TV could be built into it. 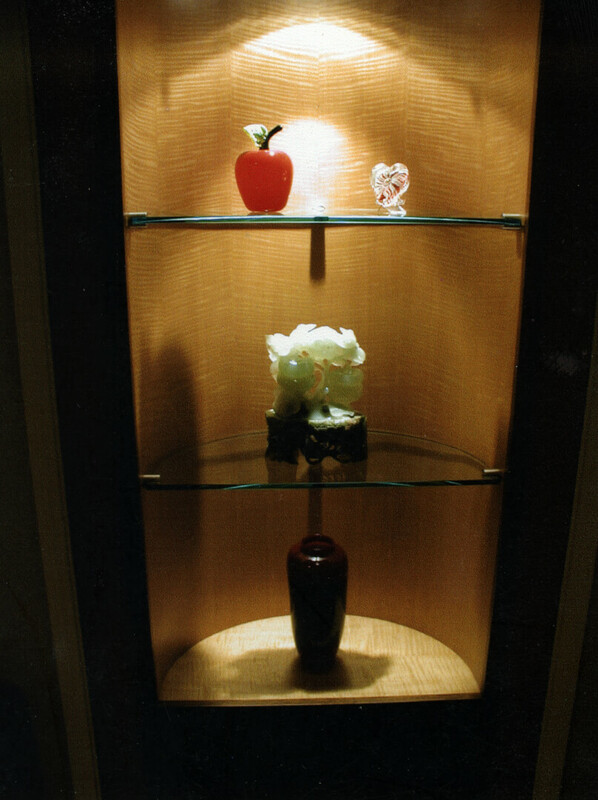 Single light entry doors were designed into the wall on either side of the screen to provide storage access and showcases were designed into the doors to make them more attractive in the room. 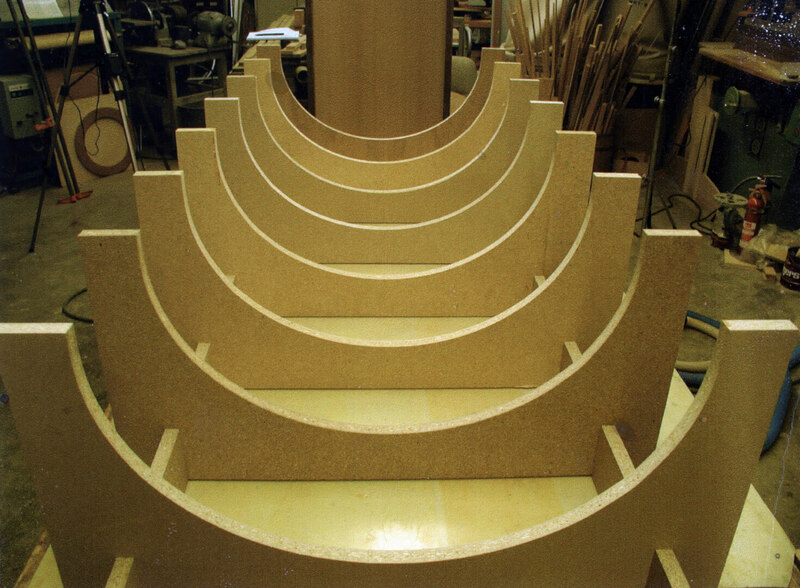 The half-ellipse cases required a form and pressing jig to be built to achieve their shape. 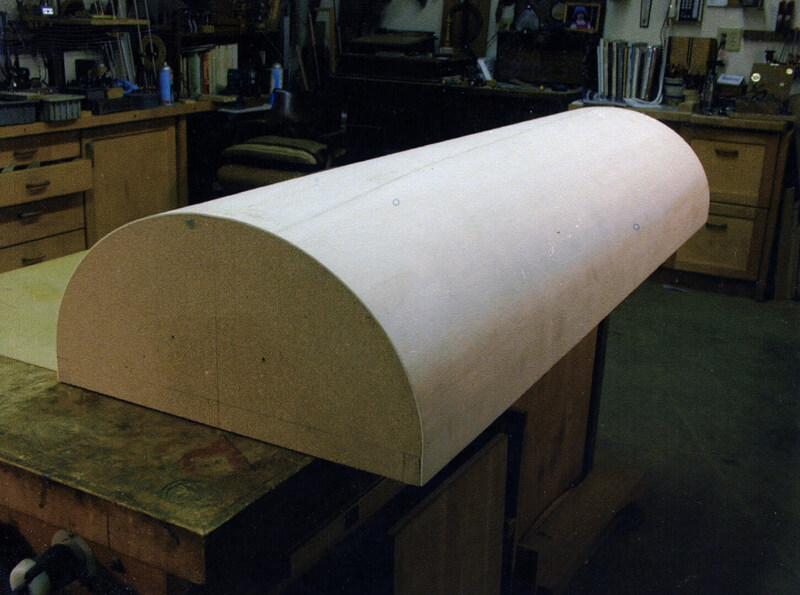 Two structures were required with diameters that differed by the thickness of the finished showcase assembly. 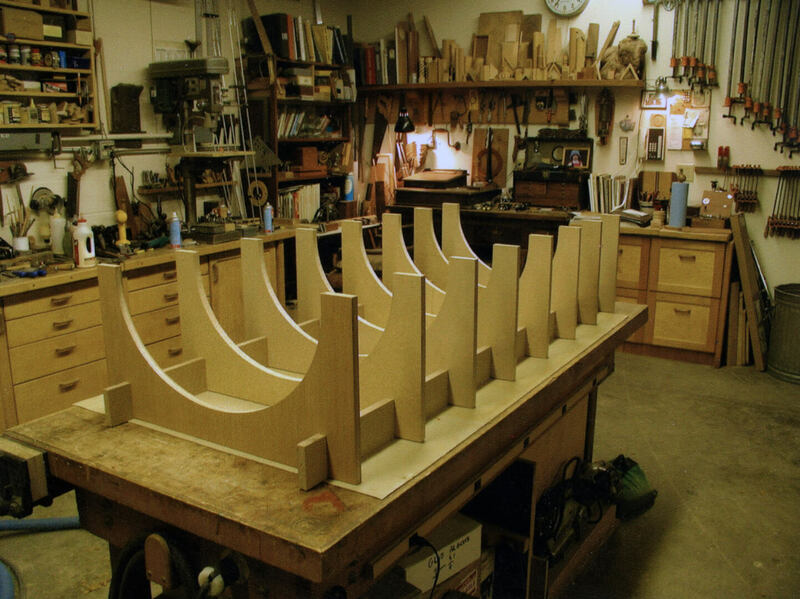 The bending form was constructed of 1/8″ bending poplar (about 4-5 ply I believe,) with the assembly being clamped over a series of half ellipse plates. 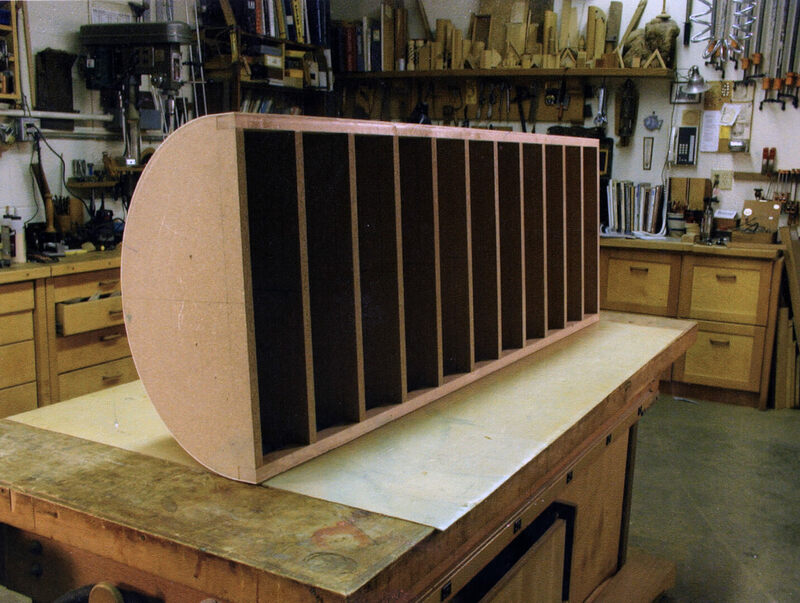 The finished form would become the inside shape of the half-cylinder showcase interior. 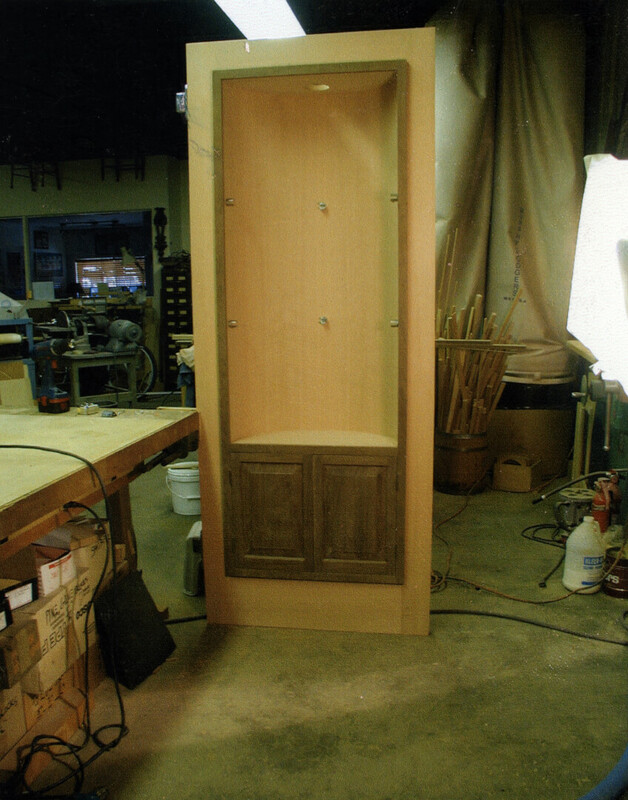 The cabinet body assembly was also made of the bending poplar with a final veneer of figured anigre that would show inside the showcase. 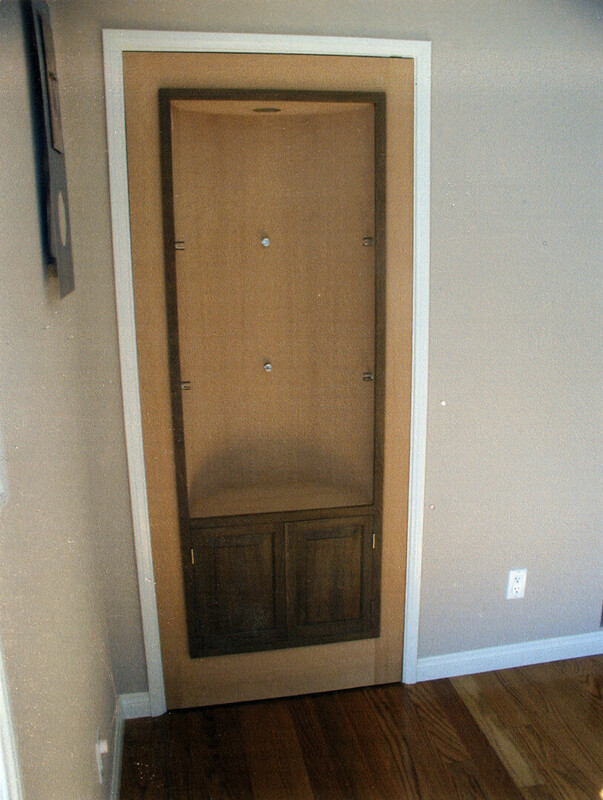 A face-frame was attached that would fit into the opening of the door and adjustable shelving holes were added to support the 1/2″ glass shelving. 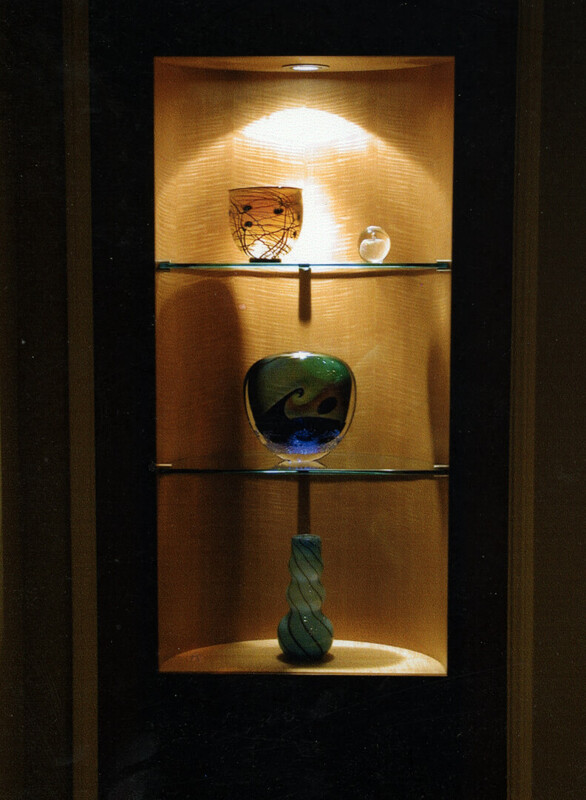 Low voltage dimmable lighting provided down lighting for the art pieces and warm side-lighting for night-time television viewing.